The last thing you want is to get Bear Spray in your eyes and mouth like these poor Amazon workers. NPS Photo. 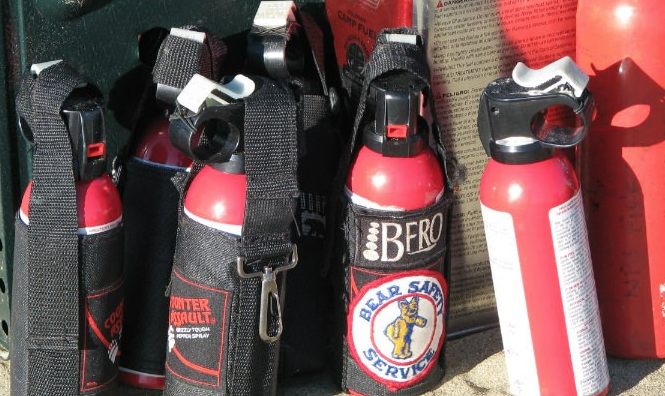 Just when we thought the mother who bear sprayed her children was the worst bear spray incident we’ve heard yet, this recent fiasco at a New Jersey Amazon warehouse might take the cake. About three hours ago, a can was accidentally knocked off a shelf, which caused a full discharge of the sickening fumes in the Robbinsville Amazon Fulfillment Center. The fumes were so potent that it forced the evacuation of an entire wing of the 1.3-million-square-foot facility. According to NBC Philadelphia, 80 employees are feeling ill from the fumes and 20 have rushed to a hospital after having trouble breathing. Thankfully, aside from burning eyes and lungs from the cloud of Capsicum, no serious injuries have been reported. If there's anything to take away from this, it's that bear spray is nothing to mess around with. Here are a few safety tips from the NPS.